Hope's Cafe: Skineez Skincarewear Camisole Review! Okay, this is a great product that I am really excited about sharing with you. Shapewear is very popular with women, but Skineez is more than shapewear-Skineez are the only cosmetic garments that smooth, slim, tone, firm and moisturize your skin...and are comfortable to wear! Seriously, this cami is sooo comfortable! It's not itchy or irritating at all...as a matter of fact, it's so comfy I've even worn it to bed! I like that the hem doesn't roll up at all-something that aggravates me no end with other camis! It has adjustable straps, and a built-in shelf liner bra. 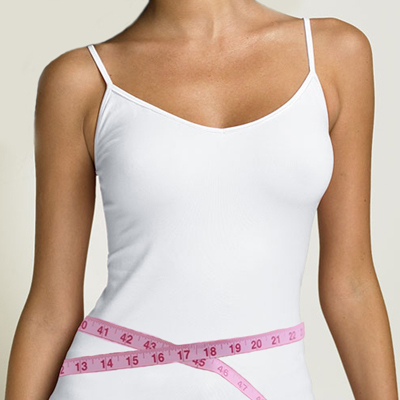 "This seamless camisole offer your bust and torso extra moderate compression where you need it. Upper back and tummy benefit from the smoothing, firming and toning ingredients embedded in the camisole to help you look perfectly smooth and comfortable in your clothes. Features adjustable straps and inner shelf-bra. It’s so comfortable, you can sleep in it." And the best part is that while I'm wearing the Skineez camisole, it's helping me out in so many ways. Skineez products are made with a new patented technology called Skintex. Basically, the fabric has been treated with microcapsules of cosmetic ingredients-including anti-cellulite ingredients, and moisturizers (shea butter, rose hip oil, Vitamin E, etc). So, while you wear the specially treated garment, the heat and friction slowly releases the embedded cosmetic ingredients onto your skin. Thus you get an all-day smoothing, slimming, toning, moisturizing effect! Skineez makes more than just camisoles too! You can get reversible leggings with lace trim, a waist slimmer kit, and a thigh slimmer kit! They also have a slimming spray available, to retreat your garments after every 8-10 washes. "At Skineez it is our belief that anything you put on should be comfortable and a pleasure to wear. When worn properly, Skineez Skincarewear™ will give you that "fresh out of the spa" feeling all day long. To maximize the garment’s moisturizing and smoothing properties we suggest wearing your Skineez Skincarewear™ garment 8 hours a day for 4-6 weeks. You should not only notice smoother and softer skin with continued use, you will also notice that your skin takes on a firmer and more toned appearance and feel. 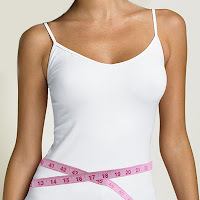 Results will vary depending on the condition of your skin and how long you wear the garment." So, why not check out Skineez? You'll love the results, and their products would be a great help if you want a New You For The New Year!! Disclaimer: I was not monetarily compensated in any way for this post. All thoughts and opinions are mine. All quotes taken from the MySkineez website. I love love loveeee Skineez! I have their cami, leggings and thigh slimmer and I am just obsessed. I am wearing at least one of their garments everyday and I can't tell you the transformation I have seen! I love going to their facebook page and learning all their helpful health hints and really staying on a healthy track wearing my skineez and learning from their health tips! This is really a beautiful camisole! The quality and fit are great. It is also extremely comfortable to wear. I have other Skineez products and I am never disappointed when I get a new one. They are also easy to wash. They can be washed and dried on gentle cycle and come out great. This product really does do what it claims. It improves the texture and tightness of your skin. The results are noticable. I am extremely pleased with this purchase. It is high end and very fashionable. The variety of available colors is great. They fit very well and look great on. As for results; the results are there. My skin tone has improved and my skin is smoother and tighter. I plan on purchasing some of the Skineez products for holiday gifts. Guys, I have been trying to contact skineez.. If you can share their potential distributors, exporters.. I have a client who might be interested in launching this product next year.